What can I expect – as a client? Creative Therapy offers adolescents and adults the opportunity to talk about what is going on for them in a safe, supportive space as well as to use creative media to explore experiences, which may, at times, feel more natural. Creative Therapy sessions are held in a designated room, a safe space that allows freedom of expression and uninterrupted time. Sessions are usually once a week at a regular time and day and last 50 minutes. Following an initial meeting and discussion, sessions will develop at your pace. Some people benefit from short-term work while others may need more time. We will look at how things are going for you throughout and will plan when to conclude therapy. *Confidentiality is subject to some limitations: If I become aware that you pose a threat to yourself or others I reserve the right to contact appropriate services. Play Therapy (a form of Child Counselling/ Child Therapy/ Child Psychotherapy) and Creative Therapy (a form of Adult Counselling/ Adult Therapy/ Psychotherapy) and Clinical Supervision/ Creative Supervision is provided by a trained and experienced Accredited Play Therapist, Janine Nehrig. Janine is a member of Play Therapy Ireland PTIrl, the Psychological Society of Ireland PSI and the Register of Play and Creative Arts Therapists, Accredited Register, accredited and regulated by the UK government Professional Standards Authority PSA. 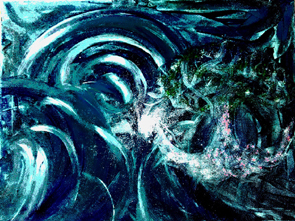 Clinical Supervision is further accepted by the Irish Association of Creative Arts Therapists IACAT. 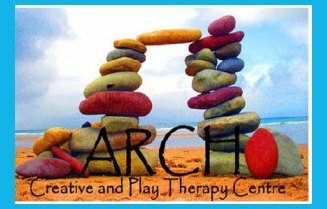 ARCH Creative and Play Therapy Centre is located in Limerick City, County Limerick, Munster and is within convenient reach of nearby villages and cities such as Abbeyfeale, Adare, Annacotty, Askeaton, Ballina, Ballybrophy, Ballycahill, Ballyhahill, Ballyhea, Ballylanders, Birr, Borrisoleigh, Broadford, Bruff, Bruree, Caherconlish, Cappagh, Cappamore, Castleconnell, Charleville, Clarecastle, Cloonlara, Croagh, Croom, Crusheen, Dolla, Doon, Dromcollogher, Ennis, Ennistymon, Fedamore, Foynes, Glin, Grange, Hospital, Kildimo, Kilfannane, Kilkishen, Killaloe, Kilmallock, Kilmurry, Kilrush, Lisnagry, Milford, Mitchelstown, Montpelier, Murroe, Nenagh, Newcastle West, Newmarket-on-Fergus, Newport, Newtown, Patrickswell, Quin, Rathkeale, Roscrea, Shannon, Sixmilebridge, Tarbert, Templemore, Thurles, Tipperary Town, Toomvara, Tulla, Tullamore, County Clare, North Tipperary, South Tipperary, County Kerry, County Cork, Munster.